After a weekend of yard work, I developed severe lower back pain that felt like a recurrence of a pinched nerve I had experienced several years ago. Since I had previously seen a Chiropractor with disappointing results, I searched through the United Health Care preferred providers and selected Dr. Long instead of the previous practitioner. My choice turned out to be right on. My wife, a RN with 40 years experience, claimed I was “crooked” in that my right side was always higher than my left side due mainly to arthritis in my right hip and knee. X-rays and Dr. Long confirmed my wife’s diagnosis of being “crooked” as a spinal irregularity also existed. Dr. Long created a recovery plan including massage therapy that proved to be totally effective within the first few visits. My back pain was gone and I was no longer “crooked” in the eyes of my wife or Dr. Long. Since my initial visits for the acute back pain problem, I have continued to see Dr. Long on an ongoing basis. Between her adjustments and massage therapy by Sophie, not only has the back pain remained absent but I am able to walk virtually pain free in spite of the arthritis. Dr. Long completely reversed my opinion of chiropractic therapy and I cannot say enough good things about her. An unexpected side effect from Dr. Long’s treatment was also realized. In my youth, I was a fair to good pool player having won or placed in multiple tournaments. I taught my son to shoot pool and we would play on most Saturdays where I typically won overwhelmingly. His game improved over time and he joined a pool league and has turned into a very good pool player and started beating me regularly. After taking a few weeks off due to the back pain, we started shooting pool again when I felt my back was up to it. All of a sudden, my pool game had improved tremendously and I rarely lost a game. I think the issue was being “crooked” where I theorize I was subject to a parallax error causing me to miss shots, whereas after Dr. Long’s treatment I was all of the sudden straight and I was aligning shots correctly. At least that’s my story and I’m sticking to it. I thank Dr. Long and Sophie for bringing me back to a virtually pain free life style! I want to thank you guys for all your help during the toughest months of my life(so far), through the healing process of my accident to my grandfathers passing you guys became like my second family! Keep up the good work and I hope to see you soon, but only by choice and not due to an injury. I have had great results after only 5 visits. I no longer had that burning pain in my upper back at the end of the work day. My headaches had almost stopped completely. Better results than after a year with my prior doctor. Dr. Lisa works magic. I have been riding my bicycle for 25 years. I recently was experiencing some neck and hip discomfort. This made it difficult to train at the level to return to competition. After working with Dr. Long, I am back training regularly almost everyday along with my maintenance adjustment and therapy at the center. Dixie, 52 and still riding. I would like to share my thoughts with you about the service I received from the Center. I have suffered for many years with various aches and pains throughout my legs, lower back, neck and shoulders. I associated these pains with growing old ( I just recently celebrated my 55th birthday ). Often, I experience sciatica pain in one or both legs for a few days, it would then subside. In late June of this year, I began to suffer extreme sciatica pain in my right leg. After two weeks of constant pain I began to suspect this was not going to go away by itself. I decided to seek professional help. Having lost my faith in the medical profession years ago, I looked through the phone book for a chiropractor near my office. I made an appointment for the next day. I have to admit I was not a pleasant person when I showed at your center as I was in great pain. The staff was very accommodating and pleasant as we went through the first examination, x-rays, etc. After consulting Dr. Lisa Long, I had hoped she might be able to ease my pain. I had 3 visits the first week and 3 visits the second week. At the end of the second week I could hardly believe how great I felt. The pain was gone. Little aches and pains from my lower back and shoulders were gone I had come to the center almost crawling with pain and here it was, 2 weeks later I felt like I could leap tall buildings in a single bound. I had never felt so good in many, many years. It is now 2 months later and I still feel great. Dr. Lisa Long has made me a believer. I am sure with a regular schedule of visits to the center I will not experience the pain and discomfort I had before. 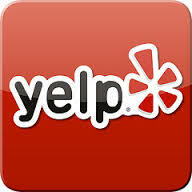 I would not hesitate to recommend the services of Dr. Lisa Long and her staff to anyone. I am grateful for everything the staff has done for me and am looking forward to a long and healthy relationship with the center. Thank you so much for the help you have given me in the past three weeks. I never dreamed that I would be feeling so well in such a short time, having spent the past five years suffering daily with severe neck and shoulder pain because of a degenerative disc in my neck. After having seen an Orthopedic Surgeon, Neurological Surgeon and a Neurologist, None of whom gave me any help for relief from the continuous pain. I had all but given up when my family doctor recommended you as a fine Chiropractor. I made my appointment with reservations having been so disappointed in the previous doctors. Within three weeks the improvement has been amazing. I no longer have daily pain. Previously I used Biofreeze many times a day to relieve neck, back and shoulder pain. I would not believe this fast improvement if it weren't happening to me. Last year I came to you for help. I had neck and shoulder pain that was so overwhelming, I was unable to function and ejoy even simple things. Not being able to sleep more than a couple hours at a time, not able to play golf or even do daily chores without pain. When it saddened me to tell my son I couldn't even play ball with him that was a whole new pain. You started me on a 3 visit per week regimen to get me comfortable again and gain some normality back in my life. The results were slow at first, but notably improving with each visit. I had many questions and you took the time to answer each and everyone. You explaine the routines, both current and future, so I could understand the process that needed to happen. I took your advice to heart and maintained a light physical activity during recovery. The progress continued and was elated the first night I slept without interruption! I discontinued pain medicine and haven't needed them since. I again enjoy golf on a regular basis and have shot my lowest scores recently. I can work in the yard, wash my truck and do all the things I did before without the fear of pain. Most of all, my son and I play all the time. You know how active 8 year old boys are. We are both so happy to spend the most valuable moments doing things together. I even picked him up when we hug ( he weighs 65 pounds now). The first time he said "no daddy, your shoulder"! I was able to tell him you fixed it and its okay now. I cannot put a price on all you've been able to give back to my life. I know I'm not alone, but I am truly one of the most grateful successes you have. Thank you to your caring expertise, and concerned Staff for helping me get my life back so we can all enjoy everyday.